It is incredibly rare that we can speak in terms of percentages like “100%”. Living in Vermont, it is commonplace to feel that the only enduring, consistent term we know is that the weather can change on a dime 100% of the time. In the vein of local food purchasing, there are only a few products that are well-adapted to this rugged climate, have the infrastructure and resources to support all aspects of production, and are available for a majority of the year. 100% of the syrup offered on the UVM campus will now be Vermont Maple Syrup. The Press Release is (Word)Press Re-Released below. UVM Dining will be offering maple syrup from the University of Vermont’s own Proctor Maple Research Center (PMRC), starting this fall. PMRC’s Grade A Dark maple syrup with robust taste will be the standard across the campus’ nine dining locations. The conversation started with an undergraduate class project in a class called ‘Barriers to Local Food Sourcing’, where UVM Dining was the community partner. Students researched potential maple syrup vendors who could accommodate UVM Dining’s volume and sizing needs. 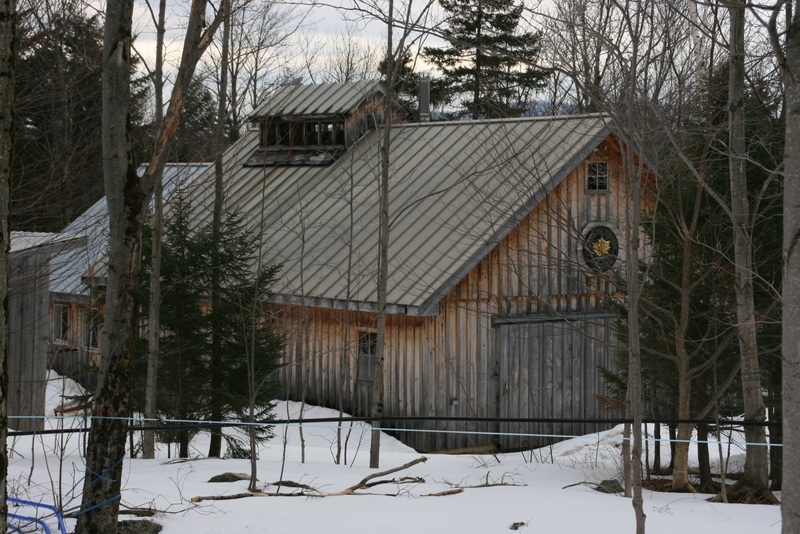 For the past 12 years, PMRC has been selling their maple in bulk, once a year, to Butternut Maple Farms of Morrisville, Vermont. PMRC used to sell to the UVM Bookstore in small amounts, which was too small scale to be efficient. 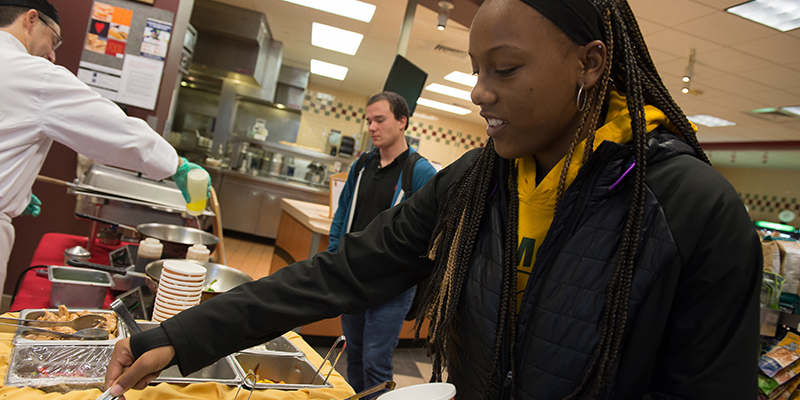 PMRC expects to sell over 1,000 gallons to UVM Dining over the school year. PMRC is the oldest maple research center in the country and tapped over 3,700 trees during the 2015 season, which yielded nearly 2,000 gallons of locally- produced, certified-organic maple syrup. As a research entity at The University, PMRC is a non-profit and therefore is seeking to only cover their production and handling costs. This was essential in UVM Dining’s ability to afford the adequately nicknamed ‘liquid gold’. “We’re thrilled to have students, faculty, and staff enjoy UVM produced maple syrup” says Tim Perkins, Director of PMRC. “Maple syrup is a quintessential Vermont product. We want to showcase the foods that Vermont is known for in our dining halls,” said Melissa Zelazny, Resident District Manager of UVM Dining. This partnership supports UVM’s Real Food Commitment goals and Sodexo’s Vermont First pledge. PMRC’s first delivery to campus will be August 26th.